Have you filled out your bracket yet? Basketball? No. I’m talking about your productivity bracket. We all know what it feels like to be pulled in a million different directions. When we accomplish work, it didn’t just…”happen.” It beat out many other priorities that day. This bracket is a tribute to the countless time management battles we all fight each day. 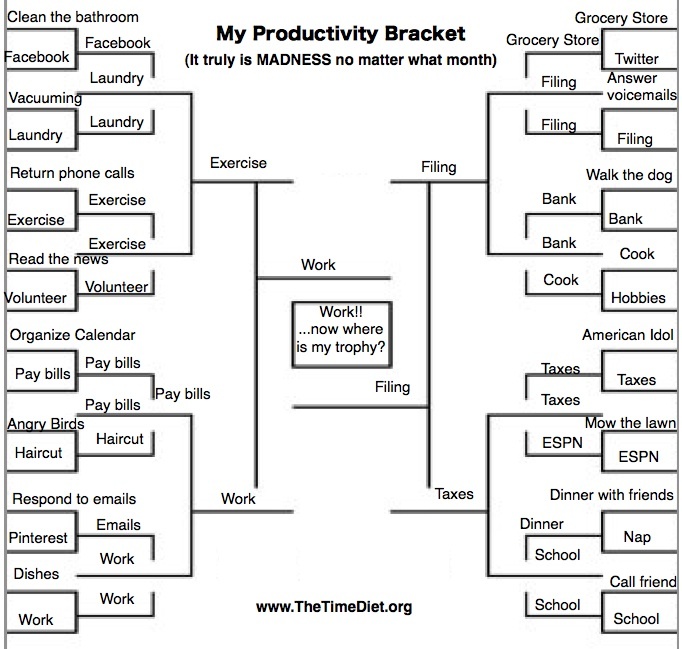 What tasks would you add to your bracket? Please add an explanation to explain how this productivity bracket works? It looks like a lot of lines and words to me, I don’t really understand how it works! Much thanks.